U.S. Sen. Ted Cruz will announce Monday that he is seeking the Republican nomination for president, the boldest step yet in the junior Texas senator's meteoric rise. WASHINGTON – U.S. Sen. Ted Cruz will announce Monday that he is seeking the Republican nomination for president, the boldest step yet in the junior Texas senator's meteoric rise. Only four years ago, he was a virtual unknown in national politics. On Monday, Cruz aides say he will officially make his intentions clear at Liberty University in central Virginia, a nerve center of evangelical thought and activity that telegraphs an emphasis on Christian conservative voters. 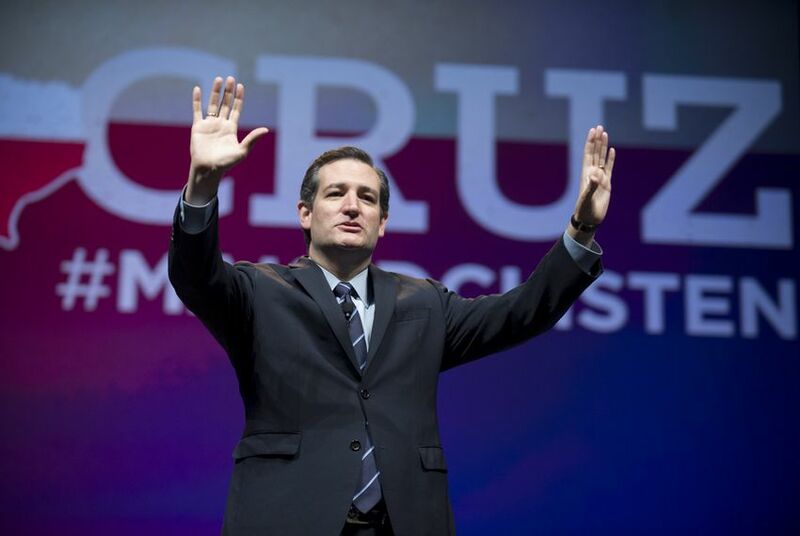 The move makes Cruz the first major White House hopeful to declare his candidacy for 2016, guaranteeing him a head start in what is expected to be a crowded GOP field. The contest could feature several candidates angling for the conservative base Cruz hopes to maintain – and build upon. Since the beginning of the year, Cruz has traveled extensively to the early primary states – New Hampshire, Iowa and South Carolina – and appeared on high-profile television programs, like Late Night with Seth Meyers. Cruz’s announcement, which was first reported by the Houston Chronicle, comes just as one fundraising quarter ends and another is about to begin. Early April is a frequent time for candidates to announce their bids. The timing maximizes the amount of time Cruz can spend raising money out of the gate in the second quarter of the year. He has frequently argued on the campaign trail that he believes the way for a Republican to win a general election campaign is to focus on pumping up the conservative base, rather than reaching out to moderate voters amid a splintered GOP field. Even so, that field is politically talented. Former Arkansas Gov. Mike Huckabee could pose a threat to Cruz’s courtship of the evangelical vote, but it remains unclear whether Huckabee will follow through on a run. Sen. Rand Paul, R-Ky., will announce his intention to run for the presidency on April 7. Paul grew up in Lake Jackson, and could put up a fight with Cruz over libertarian-leaning Republican primary voters. Another Texan, former Florida Gov. Jeb Bush, announced on Facebook in December his interest in the GOP nomination. And former Texas Gov. Rick Perry is active on the campaign trail, repeatedly indicating that he will make a decision on a second GOP nomination run in late May or early June. There are another half dozen GOP contenders canvassing the country ahead of their own expected presidential campaigns. At this point, former Secretary of State Hillary Clinton is the most formidable Democrat eyeing the presidency. In his own party, Cruz will have to contend with two potential candidates seen as early front-runners: Bush and Wisconsin Gov. Scott Walker. Asked Sunday about Cruz's forthcoming announcement, Walker welcomed him to the race. "I think for Republican voters and Americans generally, it's great to have many excellent choices," Walker said on Fox News, explaining that voters tell him they want three things: a "face from the future" to take on Clinton, someone with "big, bold ideas from outside Washington" and a candidate whose record shows they "haven't just talked about it, they've done it." Cruz’s campaign will be based in his hometown of Houston, where several aides are expected to start working at the end of the month. Among them: senior adviser Brian Phillips, digital strategist Josh Perry and spokespeople Catherine Frazier and Rick Tyler. Cruz also has recruited a number of advisers with national experience, including fundraising consultant Lauren Lofstrom, presidential campaign strategist Jeff Roe and communications guru Jason Miller. Jason Johnson remains Cruz’s chief political adviser. Cruz has already made hires in Iowa and South Carolina. On a recent swing through New Hampshire, Cruz won over a lunchtime crowd with his unapologetic conservatism, said Matt Mayberry, a veteran activist in the Granite State. Cruz is wasting no time fundraising as his campaign gets underway. He is expected to rely on a loyal base of small-dollar donors while looking to expand his support among the deep-pocketed contributors who increasingly make or break presidential campaigns. In Texas, he has landed a key backer in Hal Lambert, a Fort Worth investor who recently stepped down as the state GOP’s top fundraiser. A Houston fundraiser has already been slated for March 31, according to an invitation that says the reception benefits “Cruz for President.” The hosts of the reception include James C. Ho, the Dallas lawyer who succeeded Cruz as solicitor general of Texas. “There is no one I’ve known over the past 15 years who is more passionate about serving his country, protecting his family, and building an army of conservatives to preserve our liberties and our security as a nation,” Ho said in a statement. Cruz will head to New York City after his Liberty University speech, where he'll be giving interviews to media outlets.